Industrial organization is a field of economics that studies the structure of and boundaries between firms and markets and the strategic interactions of firms. 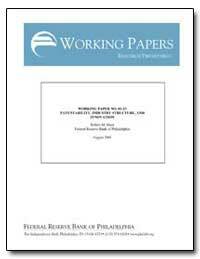 The study of industrial organization adds to the perfectly competitive model real-world frictions such as limited information, transaction costs, costs of adjusting prices, government actions, and barriers to entry by new firms into a market that may be associated with imperfect competition. 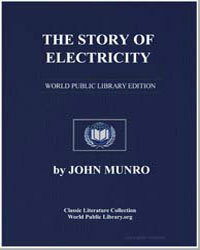 By: Dexter S. Kimball, a. 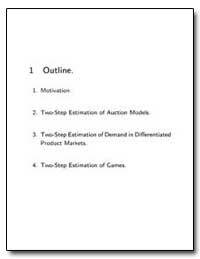 B., M. E.
Potential Relationships Between Market Structure and Innovation -- ?Schumpeterian Hypothesis? : Large firms in concentrated markets are more likely to support innovation. 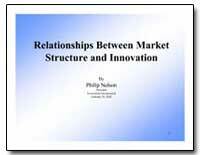 -- Innovation shapes market structure. -- Market Structure and innovation are simultaneously shaped by underlying market characteristics, such as innovative opportunities and appropriability. 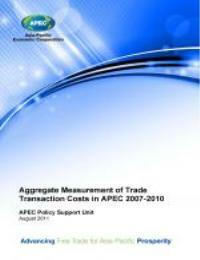 This report presents the estimates of trade transaction costs in APEC for each year from 2006 to 2010. The estimates are to form part of the Final Assessment of TFAP II and are to be based on the methodology and approach that was developed for the Interim Assessment of that Plan. Structural models are becoming increasingly used in industrial organization. 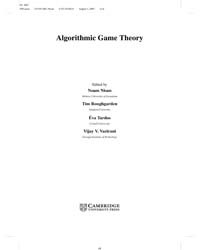 These methods are useful in markets because they allow for a logic link between game theory and empirical practice. 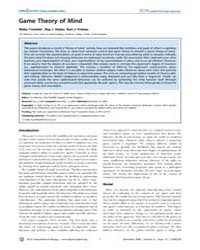 Abstract: This paper evaluates a model of sequential innovation in which industry structure (the number of firms) is endogenous and a standard of patentability determines the proportion of all inventions that qualify for protection. In equilibrium, the number of firms actively engaged in R&D is the primary determinant of an industry?s rate of progress. The patentability standard affects firms' entry decisions because it affects the expected profits associated with innovations.